Sherry Sanger is the Senior Vice President of Marketing for Penske Truck Leasing. She is responsible for the company’s global marketing functions, including strategic marketing, promotional activities, market research, and interactive marketing for Penske Truck Leasing, Penske Truck Rental, Penske Logistics, and Penske Used Trucks. Prior to being appointed Senior Vice President in 2012, Sanger served as the company’s Vice President of Marketing since 2004. She joined Penske in1998 as New Products Introduction Manager and was later promoted to Director of Marketing. Sanger began her career with General Electric’s Lighting and Capital divisions in their financial management program. While with GE, she worked in financial, cost, and marketing roles in the U.S. and Germany. Sanger holds a bachelor’s degree in German from Kent State University, a master’s degree in international management from the Thunderbird School of Global Management, and an MBA and PhD in management from Case Western Reserve University. Mary Jo Bitner is the Co-Executive Director of the Center for Services Leadership, Edward M. Carson Chair in Service Marketing, and Professor of Marketing at the W. P. Carey School of Business, Arizona State University (ASU). In her more than 25-year career as a professor and researcher, Dr. Bitner has been recognized as one of the pioneers in the field of service marketing and management worldwide. At ASU she was a founding faculty member of the Center for Services Leadership and has been a leader in its emergence as a premier university-based center for the study of services marketing and management. She also served on the Board of the American Marketing Association (AMA) (2011-2014) and as the Editor in Chief of the Journal of Service Research (2013-2017). Dr. Bitner is co-author of a leading textbook in services: Services Marketing: Integrating Customer Focus Across the Firm, McGraw-Hill, 7th edition, 2017. The book is used at the undergraduate and graduate levels at universities around the world, and has been translated into more than eight different languages. Dr. Bitner led the development of the W. P. Carey MBA marketing and service leadership specialization, a unique full-year focus within the nationally ranked W. P. Carey MBA. Alumni of this ongoing program work in companies worldwide, leading the implementation of service and customer-focused strategies. In 2003, Dr. Bitner was awarded the Career Contributions to the Service Discipline Award presented by the American Marketing Association. She was also named an IBM Faculty Fellow and received the inaugural ISSIP Fellow Award for Lifetime Achievement in Service Science, from the International Society for Service Innovation Professionals in 2013. At ASU, Dr. Bitner has received the W. P. Carey School of Business Graduate Teaching Excellence Award and the award for Outstanding Professor, PhD Programs. She served as a Distinguished Faculty member at Fudan University, Shanghai, China and taught for many years in ASU’s EMBA program in China. Dr. Bitner’s current research is concerned with service infusion strategies in goods-dominant companies and the strategic roles of technology and contact employees in shaping customer experiences in service contexts. She has published articles relevant to service marketing and management in the Journal of Marketing, Journal of Service Research, Journal of Marketing Research, Sloan Management Review, Journal of Business Research, Journal of Retailing, Journal of Service Management, Journal of the Academy of Marketing Science, and others. She holds a BA in Political Science and MBA and PhD degrees in Marketing, all from the University of Washington, Seattle. Stephen W. Brown is the Emeritus Edward M. Carson Chair, Professor of Marketing Emeritus and Distinguished Faculty with the Center for Services Leadership (CSL), W. P. Carey School of Business, Arizona State University. He is also a Strategic Partner with The INSIGHT Group. From its founding in 1985 until May 2011, he served as the CSL’s Executive Director. He is also a former national president of the American Marketing Association. Professor Brown has co-authored and co-edited 24 books and over 150 articles. Much of his research and writing focuses on the science of service and the topics of strategic services marketing, service excellence and recovering from service failures. Currently, he’s devoting major research, executive teaching and consulting to the area of service infusion or growing service revenues in product-dominant companies. His most recent co-authored book is Profiting From Services & Solutions (2014). Dr. Brown has been identified as one of the ten most frequent contributors to the English language services marketing literature in the world. He’s been awarded honorary doctoral degrees from the HANKEN School of Economics in Finland and from Karlstad University in Sweden. He is the recipient of the Career Contributions to Services Marketing Award from the American Marketing Association and the Educator of the Year Award from the Association for Service Management International. He serves as a speaker and seminar leader for conferences and business meetings around the world. Dr. Brown has co-founded three companies, and he serves on several boards. Steve Carani is the Edward Jones principal responsible for the performance of the Service division, including Branch Team support, Tailored Services Support, and the Service Insights Group to help branch teams better serve clients. He is a member of the Management Committee. Carani began his Edward Jones career in 1992 as a branch office specialist. The following year, he became a financial advisor and opened an office in St. Louis. During his time as a financial advisor, Carani served in several regional leadership roles, completed three asset-sharing programs and attended 11 Managing Partner’s Conferences. He was named an Edward Jones limited partner in 1998, a regional leader in 1999, and a principal in 2003. In 2010, he relocated to the firm’s headquarters to serve as an area leader in Branch and Region Development, where he oversaw the growth, health and leadership development of financial advisors in Missouri and Kansas, and led an initiative to support field-based area leaders. In fall 2013, Carani transitioned to the Service division to lead Client Support. He assumed his current responsibilities in 2016. Originally from Libertyville, Ill., Carani is a graduate of Bradley University and of the University of Pennsylvania Wharton School’s Securities Industry Institute and earned his MBA from Kellogg School of Management at Northwestern University. Vincent Cellard currently serves at the Vice President for Enterprise Effectiveness at Avnet, a Phoenix, AZ based technology and distribution company with business operations in all global regions. While optimizing the business processes of Avnet America, he is leading the efforts to migrate the American business onto a new ERP platform in the coming year while designing a new global template for all Avnet companies. He is also sponsoring global transformation initiatives related to pricing activities.Vincent served as VP of Global Operations for the last 3 years. His responsibilities included the strategic direction of all operations functions, including purchasing, business migration management, and voice of the customer program. He has transformed these functions through data analytics, operational efficiencies, and collaborative initiatives with the global business regions. A native of France, Vincent joined Avnet in 1995 and has been a key driver in Avnet’s success in the EMEA region, driving business transformation in purchasing, operations, marketing and sales. He relocated with his family in 2015 to take on the global operations role. Vincent currently reports to Chuck Delph, President of Avnet America. He is also a board member of the CSL (Center for Services Leadership). He holds a Master in Business from the Grenoble Management School as well as an MBA from the University of Texas at Austin. Michelle Cirocco developed her passion and commitment for the success of the business and growth of the business model through her career at Televerde which began in 1999. Michelle’s career at Televerde includes leading the company’s global marketing department, building and managing the client success department, overseeing sales operations, and early roles sales and account management. She earned her MBA at Arizona State University where she is also an Advisory Board Member for the Center for Services Leadership. She is an avid TED fan and recently organized and hosted TEDxPerryvilleCorrectional, which looked behind the curtain of incarceration to show the potential that exists in giving a second chance and was the first TEDx to be held in an Arizona prison facility. Michelle also dedicates a significant amount of her free time giving back to her local community by volunteering for the Phoenix Rescue Mission, Athena International and the Arouet Foundation. Bernard “Bernie” J. Clark is head of Schwab Advisor Services and a member of Charles Schwab’s Executive Committee. He oversees the business that provides custodial, operational and trading support to over 7,500 independent investment advisory firms with $1.35 trillion in assets under management . In addition to custody services, Schwab Advisor Services provides practice management and consultative support to help independent advisors start, build and grow their firms. A recognized industry leader, he has been named by Investment Advisor magazine as one of the “IA 25 ,” which annually ranks the 25 most influential people in the industry. Clark has more than 30 years of financial industry experience serving individual and institutional investors. He began his career at Schwab in 1998 as senior vice president of trading and operations for Schwab Institutional. He later worked on the retail business as leader of the client services organization, before returning to the advisor business to lead the sales and relationship management organization. He took on his current role as head of Schwab Advisor Services in 2010. Prior to joining Schwab, Clark was with the London office of Deutsche Morgan Grenfell. There he held the position of managing director in charge of global sales support, hedge fund operations and technology, including managing client service support in Asia, Europe and the U.S. He also spent 13 years with Salomon Brothers as a member of the executive committee responsible for North American operations. Clark serves on the board of the Foundation for Financial Planning and the Arizona State University W.P. Carey School of Business, Center for Services Leadership. He is very involved in organizations in the Phoenix area, including serving as president of the Saguaro High School Football Foundation and as an active supporter of the Phoenix Children’s Hospital. Clark earned his Bachelor of Science degree in accounting from St. John’s University in New York. Brian Dunbar is responsible for all global service and sales support for Lutron Electronics, Co. Inc. Based at the company’s headquarters in Coopersburg, PA, he frequently travels to Lutron facilities around the world.Brian joined Lutron in 1988 as a Project Electrical Engineer. Since then, his career has spanned many areas including Engineering, Quality, Supply Chain, Finance, IT, a variety of roles in Customer Service and multiple Sales and Marketing assignments in Europe, the Middle East, Asia and Japan. He was responsible for establishing Lutron’s Sales and Service center in Singapore; the A3E (Asia, Africa, Australia, and Europe) Service Center in India; as well as Lutron’s manufacturing facilities in China and Mexico. Brian has been in his current role as the Vice President-Global Services since January 2013. Brian is a member of National Association of Manufacturers (NAM), the Association for Manufacturing Excellence (AME), and the National Electrical Manufacturer’s Representative Association (NEMRA). He has a BS in Electrical Engineering from Penn State and an MBA from Lehigh University. Mike Evans is Chief Financial Officer for Renaissance Learning a SAAS provider to K12 schools in the US and internationally. Mike’s responsibilities include all finance, business intelligence and customer service operations at the company. Prior to Renaissance Mike was Senior Vice President, General Manager for Pre-K12 Literacy and Mathematics for Pearson Education’s Learning Services division, provider of school instructional solutions. Previously at Pearson, Mike was President of Pearson’s student information business (Pearson School Systems) and lead K12 software development and software product management for the company. Before Pearson, Mike was the Chief Operating Officer at Bigchalk, a K12 library database provider. Mike also held various senior management positions in both broadcast and cable television including his role as Assistant General Manager of the Food Network cable television channel. Neil Farmer joined A&W Canada as a part time employee while in High School in Saskatchewan in 1976. He became a Restaurant Manager in 1985 before relocating to the Vancouver Head Office as a Marketing Analyst in 1987. In 1995, Neil left A & W to own and manage a consulting company in Toronto providing Operations and customer service expertise and services to the Food Service Industry. After relocating to the Interior of British Columbia with his wife and two sons, Neil rejoined A & W and has held a variety of positions throughout the company. In 2012 he was appointed to the position of Vice President, Operations. Thomas Flaherty has spent much of his 30-year professional career in the areas of law and franchising. Flaherty spent a combined 12 years working in large law firms and in the legal department of Papa John’s International, Inc., as a Corporate Paralegal. He also served as Vice President, Global Business Development and Vice President, New Business Development for Papa John’s, based in Louisville, KY, and Chief Development Officer for Huddle House, Inc., based in Atlanta, GA. Flaherty currently serves as Executive Vice President of Franchising & Development for Agile Pursuits Franchising, Inc. (“APFI”), a Procter & Gamble Company, where he is responsible for recruiting and signing new franchisees, franchise administration, compliance, franchise relations, real estate, construction and design for the Tide Dry Cleaners brand. 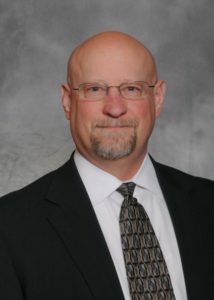 He serves in many other leadership capacities for the Tide Dry Cleaners brand, including: Chairman of the Franchise Advisory Council; Real Estate Committee; Franchise Convention Committee; Compliance Committee; Newsletter Contributing Editor; Board of Directors participation; Leadership Team Member; and Culture Team Founding Member, and current Member. He is also involved with the licensing arrangement for the Mr. Clean Car Wash brand. Flaherty holds a diploma in Paralegal Studies and a B.S. in International Business. He is a volunteer with multiple organizations, and has served on numerous Boards, including his current role on the Board of Arizona State University’s Center for Service Leadership. He has traveled to nearly 70 countries and negotiated and signed, or managed the signing of, franchise deals for well over 2,000 units on five continents. Alec Gefrides is Director of Transactional Retail for Intel Corporation’s Internet of Things Group (IOTG.) Alec is responsible for marketing, customer enabling, and the business for the established retail segment which includes Point of Sale terminals, ATMs, and Thin Clients. Michael Goul is associate dean for faculty and research and a professor at the W. P. Carey School of Business at Arizona State University. He is also an affiliated faculty member for both ASU’s Institute for Social Science Research and the Global Security Initiative, and he serves on the Biodesign Institute’s Internal Advisory Board. In the Carey School, Professor Goul oversees faculty and department affairs and leads initiatives to advance faculty excellence. In addition, he oversees the school’s portfolio of research centers, coordinates the school’s doctorate program, and he represents the school on university research initiatives such as those associated with advanced analytics. For the six years prior, he served as chair of the school’s department of information systems. As chair, Professor Goul spearheaded the development of the nine-month Master of Science in Business Analytics program, and he administered the launch of the school’s undergraduate Bachelor of Science in Business Data Analytics degree. Professor Goul also administered the launch of the online version of Carey’s highly successful Master’s of Science in Information Management program. Professor Goul is passionate about how the concomitant explosion of big data, the shift to cloud computing and the emergence of the mobile/social web does and will impact the global economy. His most recent research efforts are in the area of big data, IoT and data science governance, fog computing and analytics/data sharing contracts. In summer 2016, Professor Goul was recognized with the Outstanding Leadership Award by the IEEE Computer Society Technical Committee on Services Computing. He has published more than 100 articles, authored cases and he conducted analytics research at companies including American Express, eBay, Intel and Teradata. Brad Haeberle is the VP, Service Business Line Head for the Building Technologies Division of Siemens Industry, Inc. where is responsible for the portfolio strategy for the Service business to achieve superior profit, growth, and customer and employee satisfaction goals. He is also responsible for the Remote Services platform and IT Services application in alignment with Global and the Energy & Sustainability Business line. In his most recent role, Haeberle was the Segment Head for the Building Automation Service Business segment. Additionally, he was responsible for creating the service strategy for Siemens Industry, Inc., and he led a team tasked with developing the growth initiatives to allow Siemens Industry to grow its service revenue by 50%. He serves on the board of the Center for Service Excellence of Arizona State University. Haeberle also served as the Vice President of Marketing for the Building Technologies a $2.2 billion North American division of Siemens AG. At Siemens, Haeberle was responsible for driving marketing strategy, business intelligence, product and service identification, quality and customer experience for the company’s five business units – Building Automation, Energy & Environmental Services, Fire/Life Safety, Security Systems and Heating/Ventilation Products. Since 2007, Haeberle has chaired the Siemens Sustainability Committee, an internal, cross functional team charged with defining the company’s own sustainability efforts and implementing operational and institutional measures to help reduce the company’s overall environmental footprint. He also serves on the board of directors for the Continental Automated Buildings Association. In addition, he plays an active role in the United States Green Building Council, the American Society for Industrial Security, the International Facility Management Association and the National Fire Protection Association. Haeberle is also a member of several industry associations and councils. Haeberle joined Siemens Building Technologies in 1994 and has held several key sales and marketing managerial positions for the Building Automation and Facility Management Services (FMS) business units. Haeberle is credited building strategy to grow the FMS business from $15 million to $120 million in a three-year period, developing and executing the companies e-business strategy, and consolidating disperse marketing departments into a consolidated organization that has supported organic growth of over $900 million over the past five years. Prior to joining Siemens, Haeberle worked for Exxon-Mobil Oil Corporation serving in roles of progressive responsibility across marketing, sales, field operations, and training functions. At Exxon-Mobil, Haeberle was part of a three-person team that created the concept for Mobil Speed Pass, a payment method that was credited for reducing customer time spent at the pump by 35 percent. Haeberle earned a bachelor of business administration in finance degree from the University of Iowa and a master of business administration from the Lake Forest Graduate School of Management. He and his wife Heather currently reside in Arlington Heights, Ill. with their two children. As a leading provider of energy and environmental solutions, building controls, fire safety and security systems solutions, Building Technologies makes buildings comfortable, safe, secure and less costly to operate. With U.S. headquarters in Buffalo Grove, Ill., Building Technologies employs 7,400 people and provides a full range of services and solutions from more than 100 locations coast-to-coast. Worldwide, the company has 28,000 employees and operates from more than 500 locations in 51 countries. As senior vice president of member services and business operations, Michael Hargis leads member experience for the company, bringing LifeLock’s service commitment to life. In this role, he oversees member services, business operations, data analytics, resolutions, process improvement initiatives and business partner operations. Hargis joined LifeLock in October 2013. Previously, he was vice president of global service and operations at CareerBuilder, where he built a team from the ground up across the North America, EMEA and Asia-Pacific regions. The CareerBuilder team was recognized with multiple “Best Customer Care Team” awards. Hargis also served at GE Capital where he held leadership positions at both GE Retailer Financial Services and GE Consumer Cards. Hargis has an M.B.A. in business administration from Northwestern University’s Kellogg School of Management and a bachelor’s degree from Thomas More College. Hargis is an active Wharton Fellow at the University of Pennsylvania. Jerry Harper is a graduate of UC San Diego with more than 14 years of experience with the City of Phoenix. He began his city career in the Community & Economic Development Department where he worked on several downtown projects including TGen, the ASU Downtown Campus and CityScape. During his tenure in the Economic Development Department, he served as the project manager for the construction of the city-owned Sheraton Grand Phoenix Hotel. Since 2012, Jerry has served as a Deputy Director at the Phoenix Convention Center managing Sales & Marketing initiatives and the venue’s Marketing contract. He and his team are responsible for promoting the Convention Center and downtown Phoenix in order to attract clients to the nation’s 5th largest city. In addition to his role at the Phoenix Convention Center, Jerry serves as a board member for the Tourism & Hospitality Advisory Board and Artlink Phoenix. 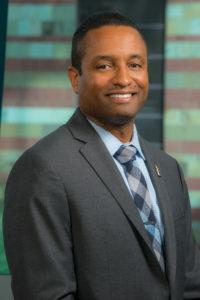 Quintinus Henry, Director, Quality and Service for Graybar, a leading distributor of electrical products, communications products, and related supply chain management/logistics services. In his current role, Quintinus is responsible for Graybar’s Quality, Continuous Improvement, and Service Solution efforts to ensure the company continues to remove process inefficiencies while offering a host of products and value added services that work to our customers’ advantage. Upon exiting the Air Force as a Heavy Equipment Operator, Quintinus started his career with Graybar in 1987 as a truck driver in Albuquerque, NM where he advanced through several positions to include Warehouse, Counter Sales, Customer Service, Quotations, and Outside Sales. 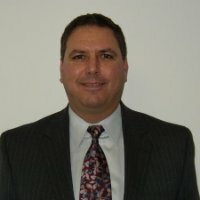 Moving to New Castle, DE in 1994, he served in the roles of Counter Manager and Sr. CSR before relocating to Corporate in 1997 to serve in the various areas of Operations, Strategic Planning, and Information Technology. Quintinus holds a Bachelor’s Degree in Management Information Systems (MIS), certifications in Risk & Information Systems Controls, Customer Journey Management, and is very active in mentoring youth across the St. Louis Region. Dr. Amy Hillman is the Rusty Lyon Chair of Strategy and Executive Dean of the W. P. Carey School of Business at Arizona State University. She received her PhD from Texas A&M University in Strategic Management and Business and Public Policy. Her areas of interest include corporate political strategies, boards of directors, and firm performance and resource dependence linkages. She is Editor of Academy of Management Review and a former Associate Editor of Academy of Management Journal. Her research has been published in leading journals such as Academy of Management Review, Academy of Management Journal, Strategic Management Journal, Organization Science, and Journal of International Business Studies. She also serves or has served on the Editorial Review Boards of the Academy of Management Journal, Strategic Management Journal, Journal of Management and Journal of International Business Studies. Amy joined ASU in June, 2001. An award-winning undergraduate and MBA teacher, she previously taught at the Ivey Business School at The University of Western Ontario, the Broad Business School at Michigan State University and the Mays College of Business at Texas A&M University. In addition, she has spent several summers as a guest professor at the Institute for International Management at Johannes Kepler University in Linz, Austria. Prior to joining academia, Amy was general manager of a retailing and manufacturing organization in the Southwest United States. Alicia Holder, Director of Business Partnerships, has responsibility for developing the Center’s business partnerships, developing and implementing executive education programs and oversight of the Center’s marketing strategy with the Center’s member firms, and implementing the Compete Through Service Symposium and annual Services Leadership Institute as well as developing Company Specific Programs for the Center’s clients. Alicia has been working in higher education since 1992 where she was Assistant Director of University Events in Institutional Advancement at Old Dominion University in Norfolk, Virginia. Her responsibilities there included bringing notable speakers to the Norfolk area for the university’s President’s Lecture Series and other events to promote the school to the community, alumni, donors and prospective students. She has been with the W. P. Carey School of Business since 1997 and has served in the MBA Career Management Office and the Marketing Department in a student advisory/recruiter development role. She has been in her current role with the Center for Services Leadership since 2000. Alicia graduated from the Evening MBA program in the W. P. Carey School in 2000 and also holds an M.A. in Teaching. Alicia was the W. P. Carey School of Business 2005 winner of the Dean’s Staff Recognition Award and was a recipient of the Arizona Governor’s Team Award for Excellence. A marketing campaign run under Alicia’s direction has won the Phoenix area American Marketing Association award for”Best Business to Business Marketing Campaign”. Thomas Hollmann is a Clinical Associate Professor of Marketing and a Research Faculty fellow at the Center for Services Leadership at Arizona State University. Thomas’ work experience spans four countries and over 10 years in Fortune 100 companies, including Black & Decker, Xerox, and as an executive at Sun Life Financial. His research interests include Services Science, with a focus on B2B, service analytics, and Relationship Marketing, with a particular interest in relationship outcomes (profitability, customer equity, defection, retention, satisfaction, etc.). His research has appeared in the Journal of the Academy of Marketing Science, the Journal of Business and Industrial Marketing and several leading marketing and services conferences. He has received research grants and awards from the Center for Innovation Management Studies, Xerox, IBM, and the Center for Services Leadership. Thomas has consulted with a range of Fortune 500 firms and he received awards for his teaching at Arizona State University and at NC State. Thomas earned a Ph.D. in Marketing from Arizona State University. Jon Katz is the Vice President of Business Development, Channel Management & Military Resale for the National Industries for the Blind (NIB). In this role he is accountable for developing a pipeline of new business, and growth in channel sales and military resale, that result in the creation of blind work years. Mr. Katz has extensive experience in both the U.S. military and private industry. He began his career in the U.S. Marine Corps, serving for more than 20 years in infantry, logistics, acquisition, and recruiting. His wide-ranging assignments included multiple deployments to the Western Pacific, command of a logistics support unit, and command of a Marine Corps Recruiting Station where he was responsible for regional recruiting operations in South Florida, Puerto Rico and the U.S. Virgin Islands. Mr. Katz also held several acquisition-related positions as the Director of Contracts Mid-Atlantic Region and the Director of Contracts Marine Forces Southwest Asia during the Persian Gulf War. His final tour of duty was at Quantico, Virginia, as the Program Manager for the development and implementation of the Marine Corps’ enterprise-wide, web-based, paperless human resource system – Marine OnLine. 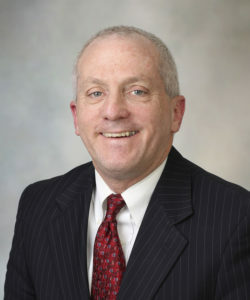 Since his retirement from the Marines, Mr. Katz has held several positions in private industry, to include Regional Operations Manager for Battelle Memorial Institute’s Stafford Operations, Vice President of Defense Programs for Suntiva, and, most recently, Director of Navy/Marine Corps Programs for Segue Technologies. Mr. Katz earned his B.S. in Business Administration from Montclair State University in New Jersey, and since has earned an M.S. in Acquisition and Contract Management from the U.S. Naval Postgraduate School in Monterey, California, an M.A. in National Security and Strategic Studies from the U.S. Naval War College, and the Advanced Professional Designation in Logistics Management from the Air Force Institute of Technology. He is certified DAWIA Level III in Contracting, DAWIA Level II in Program Management, and is a certified Project Management Professional (PMP). Mr. Katz also currently serves on the Board of Directors for Cody’s Crew Foundation, a 501(c)(3) organization dedicated to finding a cure for Neuroblastoma, a deadly form of childhood cancer. Matthew Kemmerer is the director of Infrastructure Support Services (ISS) for the Training Systems and Government Services division of Boeing Global Services & Support. Kemmerer manages a portfolio of programs that provides facilities management and logistics services to support critical Federal Government missions. In addition to his P/L responsibilities, he is also the Executive focal for the DC Region’s Emerging Leaders Development Program focused on developing Boeing’s next generation of leaders. Prior to his current role, Kemmerer led various Boeing teams spanning multiple skills and functions across all phases of the service program lifecycle including capture, transition and execution. Before joining Boeing, Kemmerer worked primarily in the professional services business leading programs that provided IT, management consulting and financial services to both the private and public sectors. Kemmerer holds a Bachelor of Business Arts in Accounting from The College of William & Mary in Williamsburg, Virginia. He is a certified public accountant (CPA) in Virginia and a certified project management professional (PMP) with the Project Management Institute. In 2012, he graduated from Boeing’s Program Manager Development Program. Matt and his wife Laura live in Chantilly, Virginia with their three boys. Stephan M. Liozu is Chief Value Officer of the Thales Group (www.thalesgroup.com) and Chief Marketing Officer of Thales Inc. in the USA. He is also an Adjunct Professor & Research Fellow at the Case Western Research University Weatherhead School of Management. Stephan holds a Ph.D. in Management from Case Western Reserve University (2013), an MS in Innovation Management from Toulouse School of Management (2005), and an MBA in Marketing from Cleveland States University (1991). He is a Certified Pricing Professional (CPP), a Prosci® certified Change Manager, and a Strategyzer Business Model Innovation Coach. Over the past few years, Stephan published academic articles in the Journal of Revenue & Pricing Management, Business Horizons, MIT Sloan Management Review, and Industrial Marketing Management. He has also written several articles on strategic pricing issues for the Journal of Professional Pricing and is a regular presenter at Professional Pricing Society conferences in Europe and North America as well as the Strategic Account Management Association conferences. He authored four books, Value Mindset, (2017), Dollarizing Differentiation Value (2016), The Pricing Journey (2015) and Pricing and Human Capital (2015). He also co-edited three books, Innovation in Pricing – Contemporary Theories and Best Practices (2012) and The ROI of Pricing (2014), and Pricing and the Salesforce (2015). Steve Lopez is the Senior Director of Customer Strategy at SRP. In this role, Steve leads and develops process aimed at Customer Technology, Customer Experience Insights, Change Leadership and Commercial Customer Engagement. Steve has been with SRP for 19 years and has served in a variety of engineering, operations and leadership positions in transmission, distribution and customer services. He has successfully led high profile design and construction projects and provided oversight of system implementations related to work management, financial management, and design software. Steve is a graduate of New Mexico State University with a degree in Civil Engineering. Steve enjoys hiking, fishing and camping. Steve and his wife especially enjoy cheering their three boys on the hockey rink. Mr. Steve Massey is the Vice President of Customer Success for Vocera, a leader in secure communications. In this role he has oversight for the deployment, support, and account management activities. Prior to Vocera, Mr. Massey spent over thirty years in the healthcare technology and services arena. He was with McKesson for eighteen years where he held several positions. Initially joining the organization as a Director in the Outsourcing Group, he went on to later lead that group as well as provide leadership in the areas of Customer Management, Services and Support. He joined McKesson through an outsourcing relationship with the Hospital for Sick Children where he served as the Chief Informations Officer. Mr. Massey also enjoys instructing new students and has taught for several years at Chesapeake College in Wye Mills, Maryland. He lives in Easton, Maryland with his wife and four dogs. “It’s our company values, community involvement and our people that make this company a place where you can be proud to work,” says Rick McCombie who has been with The Co-operators since August 1976. As Executive Vice President and Chief Client Officer, Rick is responsible for leading the distribution and client engagement strategies across The Co-operators group of companies. He is also responsible for agency management, region operations, call centre operations, marketing and client relationship management. Rick started with Co-operators General as an office trainee in Owen Sound. Since then, Rick has held various positions including Accounting Supervisor and Atlantic Division Controller. He was also Region Vice-President for New Brunswick and Prince Edward Island, Southwestern Ontario, as well as Central Ontario. Throughout his career, Rick has obtained his Chartered Management Accountant, Chartered Insurance Professional and LIMRA Leadership Insurance Foundation designations. One of Rick’s career highlights includes 10 years of profitable growth in the Southwestern Ontario Region while under his leadership. He was also the project leader of Co-op Auto Coalition in the early 90s. An active member in the community, Rick admires and is influenced by Mother Teresa, who he feels “put the lives of others before her own.” Rick lives these values. He is past Chair of the London/Middlesex and past Volunteer Chair of the Guelph/ Wellington United Ways. He is currently on the boards of the Guelph/Wellington United Way and the Centre for Services Leadership out of Arizona State University. John McDonald joined Allscripts in 2015 and is the Director of Proactive Service Offering development and delivery. In his current capacity, John is responsible for new offering development, service delivery operations and P&L management for a comprehensive suite of Healthcare IT Services supporting over 4,000 clients across the United States and Canada. Prior to joining Allscripts, John held several executive positions with Lenovo’s global service and support organization leading service operations in Latin America, EMEA (Europe, Middle East and Africa) and the United States. While leading the EMEA service delivery operations, John served as an expat living in Bratislava, Slovakia from 2012-2014. In John’s Lenovo global service and support role, he lead numerous CSAT and cost reduction initiatives resulting in over $25M in annual savings and a 10% improvement in CSAT. In his global role John collaborated with, and traveled to, support operations teams across the globe notably in China, Japan, Australia and all major countries in Latin America and EMEA. Prior to joining Lenovo, John worked at IBM for 17 years in a variety of senior level project management and services leadership positions. When not working, you will find John spending time with his wife and daughter. He likes golf (but will admit is he terrible at it), boating, and loves to play tennis. Another passion is spending time at classic car events showing off his restored 1969 Ford Mustang. David J. McIntyre, Jr., is President and CEO of TriWest Healthcare Alliance. In 1996, Mr. McIntyre co-founded TriWest Healthcare Alliance and has since led the corporation, which is working to ensure that Veterans in roughly half the nation have access to high-quality health care when it is unable to be provided directly by VA. Mr. McIntyre has more than 30 years of experience, success and accomplishments in national health care policy development, business development and leadership in both government and the private sector. Mr. McIntyre has a bachelor’s degree in political science from Seattle Pacific University, a master’s degree in administrative sciences (with an emphasis in management and health policy/administration) from Johns Hopkins University, and he participated in the Executive Education Program for Senior Government Managers at Harvard University. In addition to leading TriWest Healthcare Alliance, he serves on a number of non-profit boards, including the Congressional Medal of Honor Foundation Board of Directors and the Fisher House Foundation Board of Trustees. 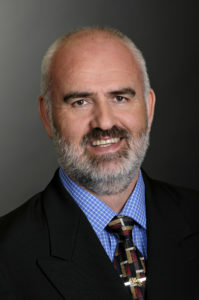 Mark McLoughlin is Senior Vice President & President of Americas Labs and Distribution Services for VWR International. In his role, Mark leads all sales, marketing, services and operations for the United States, Canada, Mexico and Puerto Rico. Mark joined VWR International in September 2008. Prior to his current role, Mark was Senior Vice President of Category Management as well as Senior Vice President of Emerging Businesses, bringing over 30 years of commercial and strategic management experience to his roles. Before joining VWR, Mark held the position of Senior Vice President, Chief Marketing Officer for Cardinal Health, Inc. based in Geneva Switzerland, where he designed and implemented an International Strategic Marketing Organization to support all the Cardinal Health business outside of the U.S. and Canada. He graduated from the University of Arizona with a Bachelor of Arts, majoring in Psychology. Timo Moeller is the Commercial Director for First Solar’s Energy Services business, which is headquartered in Tempe, Arizona. He is responsible for Business Development, Product Management, Sales Operations, Contract Management and Strategic Account Management for the industry leading PV Operations and Maintenance provider. He has 20+ years of experience in technical support, business operations and business development during his career at First Solar and BASF. Prior to his current role, Timo was the Global Director, Customer Support Services at First Solar that included the strategic development and execution of the company’s Customer Service strategy as well as all Performance and Warranty Contracts and Negotiations of all First Solar product sales globally, from components to utility scale power plants. Timo joined First Solar in 2006 as an Applications Engineer in Mainz, Germany and was promoted to Technical Customer Service Manager EMEA in 2008. He moved to the US in 2011 to establish a regional technical service organization for the Americas for First Solar. As a graduate of First Solar’s Executive Leadership Program, Timo has led the Commercial Operations Team of First Solar’s Energy Services since August 2017 He has a Degree in Electrical Engineering from the Technical College Worms, Germany and a Degree in Business Management with a focus on Information Management from VWA Mannheim, Germany. Timo is a Board Member of the Center for Services Leadership in the W. P. Carey School of Business at ASU since 2015 and currently resides in Cave Creek, Arizona with his wife. Marie Olesen is CEO of La Jolla Cosmetic Surgery Centre and Founder of Vizium360 creator of RealPatientRatings.com, its consumer site,. She is an innovator in the use of technology to improve patient satisfaction and business outcomes.Stimulated by the work of Stephen Brown in the seminal ASU study, Patient Satisfaction Pays, Marie joined the CSL board in 2009, “The findings of the CSL faculty continue to be borne out in my own work using technology to improve patient satisfaction. Today more healthcare organizations understand the connections between happy patients and organizational success. This is also driven by MIPS/MACRA payment incentives related to patient satisfaction. Given its rich history, I believe CSL will continue its meaningful contributions to this field.” Olesen began surveying patients in 1988 and went on to create 2 software solutions to improve patient satisfaction. She offered the first personalized informed consent program, INFORM&CONSENT® in 1994. The next year, she introduced an industry-transforming CRM system. INFORM&ENHANCE which enabled practices to drive revenue by standardizing and optimizing patient experiences. Her performance metrics and benchmarks are now industry standards. By 2011, seeing burgeoning consumer use of ratings and reviews, Olesen launched realpatientratings.com, the first 100% verified consumer review site in cosmetic medicine. Behind the scenes, benchmarks from over 6M patient responses help practices pinpoint opportunities to improve patient satisfaction and business outcomes. In 2018, the company, now Vizium360, began greater focus on the data and analytics from survey-based patient satisfaction and broadened the range of healthcare organizations it serves. Olesen is an accomplished speaker, moderator and teacher. With her husband, R. Merrel Olesen, MD, she co-authored of Cosmetic Surgery For Dummies, a consumer guide to aesthetic surgery. She is a contributing author to The Business of Plastic Surgery. Vizium360/realpatientratings.com is an endorsed partner of the American Society of Aesthetic Plastic Surgeons. Amy L. Ostrom is the PetSmart Chair in Services Leadership and Marketing Department Chair at the W. P. Carey School of Business at Arizona State University. She received her Ph.D. from Northwestern University. Her research focuses on issues related to services marketing including customers’ evaluation and adoption of services, customers’ roles in creating service outcomes, and transformative service. Her work has appeared in a number of journals including the Journal of Marketing, the Journal of Consumer Research, and the Journal of Service Research. Ostrom, who was selected as the 2004 Arizona Professor of the Year and the 2007 ASU Parents Association Professor of the Year, has supervised numerous undergraduate Honors theses. She has shared the service blueprinting technique with small start-ups to Fortune 500 companies to help improve their service processes and develop new service offerings. John Page is senior vice president, Keysight, and president of the Services Solutions Group. Page, most recently vice president of Keysight’s business finance organization, has 25 years of financial and corporate leadership, including CEO and founder of a cloud- based computing company as well as CFO and senior management roles at leading semiconductor and electronics firms. Page joined Hewlett-Packard in 1988 where he served in a variety of finance and operational positions. When Agilent Technologies was spun off from HP, Page helped lead the creation and spinoff of Lumileds as its first CFO. He was also one of the founders and executive staff of Agilent’s Imaging Electronics Division, which he helped lead from inception to over $1B in revenue. Page served as a member of the executive team at Nanosys from 2010-2014, where he was instrumental in the company’s transition from a technology research powerhouse with over 800 patents into a growing commercial business in the electronics industry. Page holds an M.B.A. from the Simon School of Business at the University of Rochester, and a B.A. in economics from the University of Rochester. Adrian Paull is Vice President of Customer & Product Support for Honeywell’s Automation & Control Solutions (ACS) business, which is headquartered in Melville, New York., and serves all ACS products and customers. Paull has 35 years of leadership experience in customer support, business management and business development during his tenure at Honeywell. Prior to his current role, Paull was vice president of Honeywell Aerospace Customer & Product Support, that included Technical Operations staff, Customer Care, Customer Support Solutions employees and regional staff deployed within three business units and General Aviation market segments. He joined Honeywell, then Sperry Flight Systems, in 1980 as a systems technician in Basingstoke, United Kingdom, and was promoted to avionics project engineer for the company within British Airways’ operation at London’s Heathrow Airport in 1983. He subsequently became an international customer engineer for flight test and avionics development for the British Aerospace 146/RJ before accepting an assignment in Phoenix in 1989 as a Customer Support manager. Paull returned to Europe in 1994 as international manager for commercial business development, leading market development and strategic planning through an international network of business development managers and playing an instrumental role in managing customer relationships. He was promoted to director of Customer Support in 1997, overseeing Honeywell’s business and service centers in the United Kingdom and France. A graduate of Honeywell’s Executive Development Program and a Six Sigma Leadership Black Belt, Paull has led Honeywell ACS Customer & Product Support since April 2015. A native of London, Paull has a bachelor’s degree in systems and control engineering from Buckinghamshire College. He also holds an MBA with an emphasis in Finance. He is a member of the Institute of Incorporated Engineers and the Institute of Electrical and Electronic Engineers. He is on the boards of Orbis International and Arizona State University’s Center for Services Leadership. Dave Prus is Assistant Vice President– Customer Care Center for State Farm Mutual Automobile Insurance Companies. His role includes oversight over the call center service functions designed to support State Farm Agents and customers. Dave joined State Farm® in in 2000 and has served in a variety of executive leadership positions including Director in the Financial Services Integration Office, and Marketing and Sales Director. He assumed his current position in March 2014. He received a Master of Business Administration from John Carroll University and a bachelor’s degree in Business Economics from The College of Wooster. He also earned the Chartered Financial Consultant (ChFC) designation. Scott Safar is a divisional vice president in the headquarters of Abbott Diagnostics. Abbott is a global health care company devoted to improving life through the development of products and technologies that span the breadth of healthcare. Abbott has a portfolio of leading science-based offerings in diagnostics, medical devices, nutritionals, and branded generic pharmaceuticals. As a senior member of Abbott Diagnostics, Scott is responsible for commercial customer service operations worldwide. In his current assignment, Scott is responsible for divisional strategy and execution surrounding global service selling, service expenses, customer experience, client loyalty and retention of base business worldwide. Scott has been in industry 22 years and has functional managerial experience in R&D, quality, commercial sales, and customer service operations. Scott was a key R&D manager during the launch of the Abbott Architect, a flagship product line within the in vitro diagnostics industry. During his tenure as senior director systems R&D and global service at Abbott Molecular, he led the on-time launch for all major platforms, including the m2000 real-time PCR RNA/DNA device. He has started-up global service organizations and driven service sales as a business. In addition, he has a proven track record of significantly improving cost profile of mature service organizations while in parallel raising customer delivery and loyalty levels. Scott is named on sixteen patents and was recipient of the Chicago Sun Times Innovation Award. Scott holds an M.B.A. from DePaul University and a B.S. in Mechanical Engineering from Marquette University. He is a member of the American Society of Mechanical Engineers, Advisory Board Member at the W. P. Carey School of Business, Arizona State University, is a marathon finisher, and a licensed private pilot. Karl Schultz is the Vice President of Professional Services at Axon (formerly Taser International) in Scottsdale, Arizona where he is proud to lead a global team of men and women dedicated to the successful deployment and support of Axon non-lethal weapons, body cameras, and software solutions for our customers, primarily Law Enforcement. Prior to joining Axon in 2018, Karl served as Professor of Practice at Arizona State University. Before that, Karl was Chief Technology Officer for Titan Industries (3D Printing of Titanium) and CTO of MD Helicopters. Karl began his commercial career at Honeywell in 2008, eventually serving as Vice President of Global Technical Operations for Honeywell Aerospace. Prior to Honeywell, Karl served 13 years as a Naval helicopter pilot and flight instructor; he has over 1,500 flight hours and cumulative 3 years deployed overseas. Dr. Schultz has a Bachelor’s in Aerospace Engineering from the US Naval Academy, a Master’s from MIT, and a PhD from Old Dominion University. Karl lives in Phoenix with his wife and three children. Lee Scanzano is vice president of customer care for Cox Communications. She is responsible for all facets of the customer care department and leads one of Cox’s Centers of Excellence located in Phoenix. Scanzano came to Cox from Bank One where she was vice president of customer care. Prior to that, she served as the senior vice president of customer care with the Gale Group. She has also held numerous positions with American Express in New York and Arizona. While at American Express, she held the role of business leader and senior service delivery leader for the telephone service center, at one point managing a staff of 1,200 employees. Scanzano is the recipient of numerous business awards for her innovative leadership and excellent results. Scanzano currently serves as the board chair for the Better Business Bureau and serves on the advisory board of the Center for Services Leadership, part of the W.P. Carey School of Business, Arizona State University. Scanzano and her husband reside in Carefree and have one daughter who is pursuing a career in Public Relations. Julie is the Vice President and General Manager in the Global Commercial Payments organization at American Express. Global Commercial Payments is devoted to serving small, mid-size, large and global companies around the world. As the VP/GM of the US Client Group, Julie is responsible for phone-based commercial acquisition and account development for US small and mid-size businesses. She joined American Express in 2007 and has worked in four AMEX business units – Business Travel, Global Business Services, World Service and Global Commercial Payments in a variety of leadership positions in consulting, sales, account development, business transformation, re-engineering and servicing. Prior to AMEX, Julie worked for 10-years at Intel Corporation in operations, human resources, and supply chain management. Julie currently sits on the Board of Directors for Fresh Start Women’s Foundation in Phoenix, a nonprofit organization that provides education, resources and support for women to positively transform their lives and strengthen their financial self-sufficiency. She earned her MBA from Thunderbird School of Global Management and a Bachelor of Arts in Public Relations and Communications from Carroll College in Montana. Lilia Tuero Fricke is currently director, Customer Experience in the Operations Services Organization. Lilia is responsible for leading the strategic development and execution of the company customer service strategy as well as for implementation of company programs and initiatives for several customer channels. Prior to her current role, Lilia has held various leadership roles within operations and operations services in several LATAM Markets. As part of the regional operations team in LATAM, Lilia was able to set direction for the function, create the structure, and lay a strong foundation for the operations community in that region. Lilia joined Starbucks in 2003 as a barista and has held a variety of roles in the field operations in several markets including Mexico, Chile, Bahamas and Brazil. Lilia was born and raised in Mexico City and earned her Bachelor of Arts degree in Philosophy and Psychology from California State University. In her spare time, Lilia loves spending time with her husband Jaime travelling, hiking, and discovering new places in her newly adopted city Seattle. Warren Weller is the Chief Sales and Marketing Officer at Vixxo, responsible for all aspects of sales, marketing and profitable revenue growth. Mr. Weller helps industry-leading companies tap into the technology, services and products that reduce maintenance costs, improve service quality and increase asset uptime. Drawing from decades of experience at IBM, Mr. Weller ensures companies understand the tools, solutions and services that Vixxo brings to the marketplace and is sharply focused on client satisfaction, ensuring the needs of Vixxo clients are being exceeded at all times. Prior to joining Vixxo, Mr. Weller held various leadership positions at IBM, serving as the Vice President, Financial Services and also as Vice President, Mid-Market Services. During his 25+ year tenure, he drove operational excellence and innovation across the organization. Hailing originally from Johnstown, New York, Mr. Weller holds a Bachelor’s degree in Business Administration and Management from Marist College. He currently resides in Scottsdale, Arizona with his wife and three children. Ron Zielinski is a 30+ year Customer Service Leader in the Laser and Photonics Industry, where he has created customer and business success across diverse customer segments – from Nobel Prize researchers to world class consumer electronics manufacturers leveraging complex global supply chains. Over the past 17 years Ron has led Global Customer Service for Coherent Inc., a leading Photonics Industry company (mkt cap: $5.5B) overseeing service strategies, operational transformations, steep product and service revenue growth, several acquisition integrations, global CRM implementations and a worldwide team of >500 direct employees across 15 countries. Ron is a regular conference presenter on topics such as Service growth, leadership, strategy, culture development and operations. He routinely oversees customer satisfaction rates of >95%, annual service related revenues exceeding $350M, and first time resolution rates >90%. Ron has extensive experience in Asia, having successfully built industrial-level service infrastructure in China, Japan, S. Korea and Taiwan and having traveled to Asia regularly since 1987. On a personal note, Ron is a member of the board of directors of the non-profit Sunnyvale Sister City Association where he developed and runs a unique Adult Exchange Program with Iizuka, Japan. He understands and continues to improve his rudimentary Japanese skills and is also a member of the seminal Band of Angels located in Silicon Valley.